For me, this semester has been about focusing on my relationships and growing closer to the people that are important to me. One of the people I’ve gotten to know better is Zanna Leciejewski. We lived on the same floor our freshman year and we took Chem 1210 together, but with conflicting schedules we never had a lot of time to spend with each other. This year, we’ve had a lot of time to get to know more about each other since we are Mount wives. This “marriage” represents our commitment not only to each other, but to our minis who we mentor together as a family unit. One of the dates we’ve recently been on was going to see Broadway’s Aladdin musical performance at the Ohio Theatre. This production of a Disney classic reminded me of the importance of remaining optimistic in times of trouble, and it reminded me of how powerful and moving art can be. Zanna has also been a great friend to me as I struggled with deciding on a career path and while dealing with other issues. I’m lucky to have her as my friend and Mount wife. Later this semester, we plan on attending more theatre performances including the BalletMet Nutcracker and the Hip Hop Nutcracker. I’ve always considered myself a fan of the arts and finding the time to go to the theatre had not been a priority to me since starting college, but I’m glad that I’ve started to go again. It always amazes me how the artists are able to put everything they have into such emotionally charged performances and they can raise so many emotions in the audience. I’m looking forward to all the theatre productions I’ll be able to go to next semester as well. 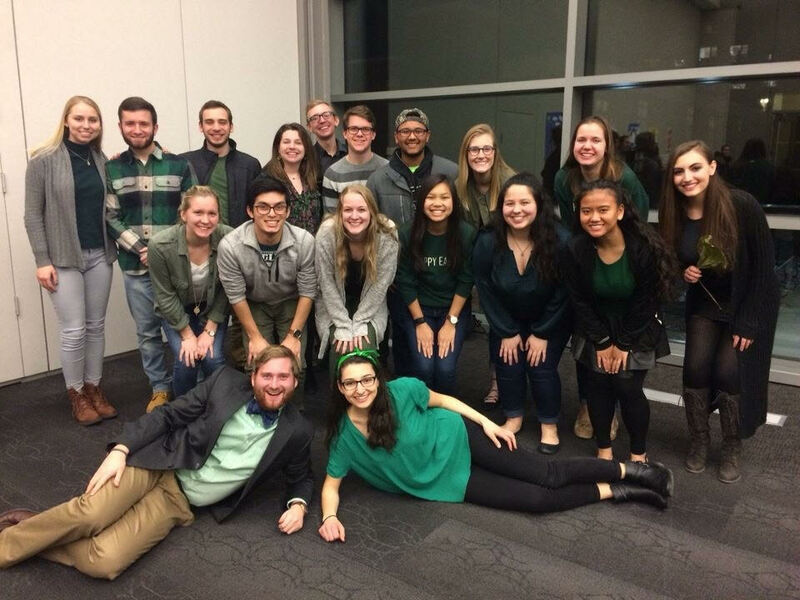 I have expanded my knowledge of different cultural and social perspectives through my involvement on and off campus with different organizations such as Platform and Health Occupation Students of America (HOSA). Platform has educated me on the political aspects of daily living in other countries through the lens of intersectional feminism. HOSA has provided me with the opportunity to travel and meet people from different countries which allows me to learn firsthand from people who grew up in different backgrounds than my own. In the future, I hope to continue developing my global awareness by studying abroad. I am working on achieving this goal through participation in psychology, behavioral, and economical lab research studies. Since my major and minors only briefly touch on the research aspect of science, I have learned a lot by volunteering as a participant in these studies, and I hope to continue learning more about how research studies are conducted and how data is collected. I am currently majoring in Health Sciences and minoring in Bioethics and Biology. My minor in biology allows me to learn about the physical side of the natural sciences, while my major explores the administrative side of healthcare and science. My minor in bioethics allows me to take classes to learn about the ethics of healthcare, which will be beneficial in my future career. I am in a program called the Mount Leadership Society Scholars Program at OSU which is focused on service and leadership. 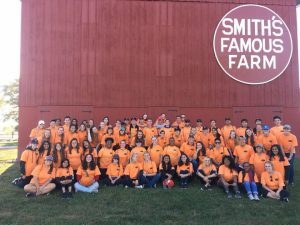 Last year, I was involved in many service projects in the Columbus area, and this year I am the Chair of the Service Committee so I plan and implement the service projects that the first years participate in. Through Mount I have also been able to practice public speaking, delegation, and writing lesson plans to aid in growing my skills to make me a better leader. Throughout the 2018-2019 academic year I will be serving as a tutor, mentor, and friend to the children at the RISE Boys and Girls Club. The Boys and Girls Club is an after school program where I will be working with children on a weekly basis to focus on service learning and help however I am needed. For the past several months, I have been working with a team of peers to plan and implement multiple service projects with local agencies for Legacy Week through the Mount Leadership Society Scholars Program. For Legacy Week, we chose what we wanted to focus on and joined a team. I chose Team Environment. 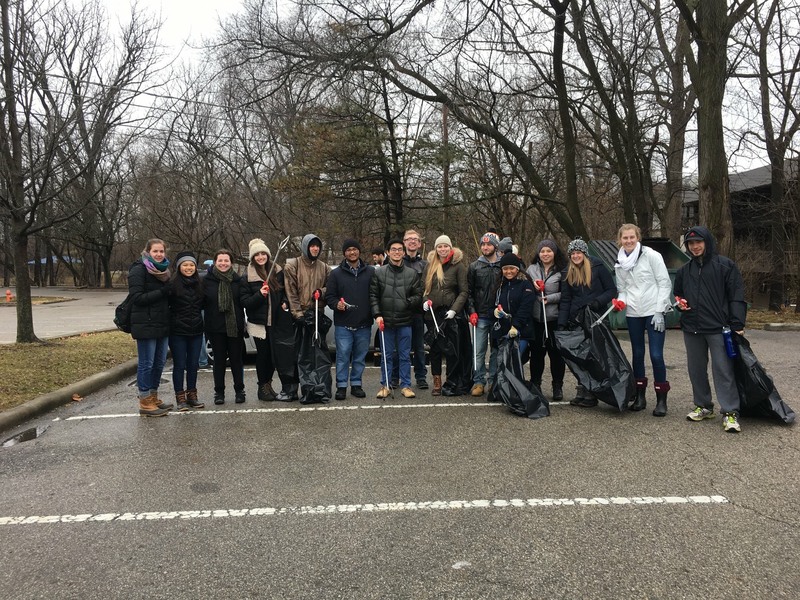 Our first service project was working with the Friends of the Lower Olentangy Watershed (FLOW) to pickup litter at Tuttle Park near campus. 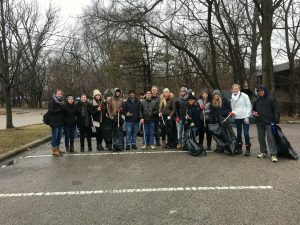 Despite the cold weather, my friends and I had a lot of fun cleaning up the environment and making a difference in our local community. 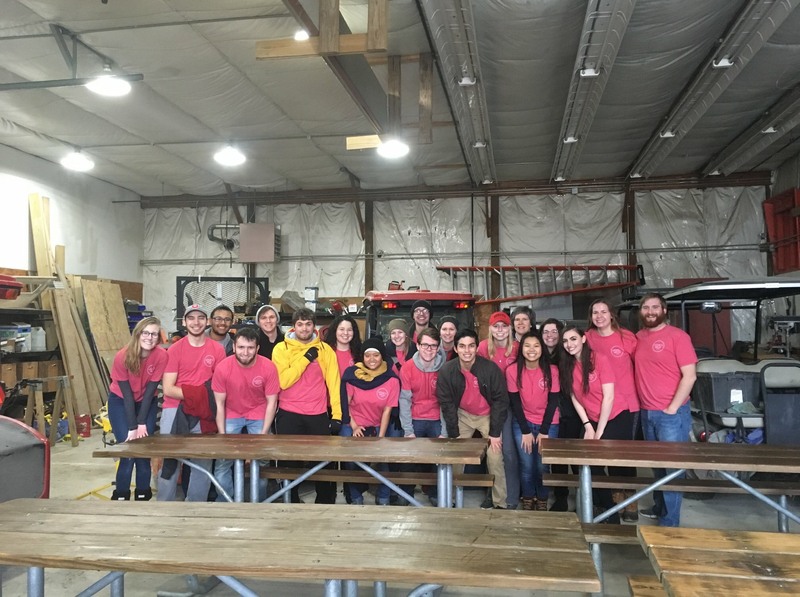 Our second service project consisted of staining benches and picking up litter in the snow for the Scioto Audubon Columbus Metro Parks. Unfortunately, our third and last service project had to be rescheduled due to inclement weather, but we were supposed to remove honeysuckle for FLOW because it is an invasive species. Legacy Week definitely taught me a lot about leadership and I grew very close to my teammates over the course of the months we worked together. 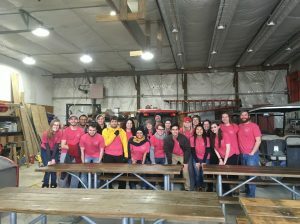 I’m excited to complete our last service project when the weather improves and I can’t wait to see what next year’s class of Mount will choose to work on. 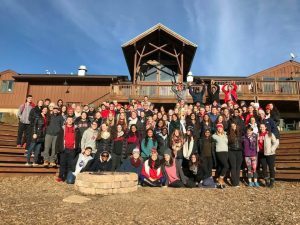 This past weekend, I was lucky enough to participate in the annual first-year Mount Retreat. After interviewing Mount alums and talking to second-year Mounties and post-Mounts, I was excited to see what the retreat would hold for me. I heard many stories about how the retreat was everyone’s favorite memory from their first year in Mount and how they made some of their best and closest friends while on the retreat. Well, I can now say that the stories I’ve hear don’t do the retreat justice. Over the course of the two days, we did team bonding activities, nature hikes, and developed our leadership skills more. One of my favorite parts was when we went star gazing at night. I’ve never seen so many stars before. It was truly breathtaking. After the very first group activity, I already felt closer to everyone there. Secrets were shared and bonds were formed. I never realized how much relationships could develop in less than twenty-four hours, but now I know that Mount’s motto of “together for good” really means for good. We all made memories–and friendships–to last a lifetime. The entire experience was truly eye opening. I can’t wait to continue nurturing these relationships throughout the next four years and go on the second-year Mount retreat next year! This past semester has been one crazy rollercoaster ride with many up and many downs. When I first moved into Bowen House on August 16th, I never would have even imagined that this is where my path would take me. Like everyone else, I knew that many college freshmen struggle with the transition to college, but I never thought I’d be one of them. Of course, there’s no better way to learn than making a few mistakes and having to pick yourself up again. I’ll admit I made many mistakes my first semester at OSU. I didn’t study nearly as much as I should have, and I spread myself too thin in an attempt to make the most out of my time here. Don’t get me wrong, the activities I was involved in were amazing. The Mount Leadership Society Scholars Program allowed me to volunteer at a variety of service events throughout the semester, and it played a vital role in introducing me to my friends and connecting me with health professionals in my field of study. I was also involved in other clubs on campus. One of the most notable ones is the Women in Surgery Empowerment Club. This club was started my first semester and it gave me the opportunity to meet other undergraduates who are just as passionate about helping others and becoming surgeons as I am. Through this club, I was also able to meet several women surgeons and medical students who are aspiring surgeons. These two organizations provided me with great experiences that I’ll never forget, and I hope to continue my journey with them. As much as I enjoyed all of the amazing opportunities OSU has to offer, I wasn’t able to balance my personal life and my academics very well. That way of living just wasn’t sustainable for very long. I wasn’t getting enough sleep, I wasn’t eating a healthy diet, and I wasn’t doing what was best for my future. I focused on all of the wrong things and forgot the real reasons I came to Ohio State. Months had passed and I realized I was no longer happy with the path I was on, so I decided to make a change. I refocused my energy on doing what was best for me and reevaluated my priorities. I started by reaching out to the people in my life who cared about me and who I knew could help me get my life back on track. No one can get their life back together on their own, everyone needs help. In addition to seeking help from friends and family, I started making more healthy habits. I started eating healthier and going to the gym daily. I also started using a schedule planner, which was immensely helpful in keeping me accountable for setting aside study time. Thanksgiving Break gave me the rest I needed from school, and when I got back to campus I was reenergized and ready to start living a better life. After I got the hang of everything, I was finally back to where I wanted to be. If there’s one thing I can’t stress enough, it’s that the people you hang around will greatly impact your life in many unexpected ways, so choose wisely. I started surrounding myself with a good group of friends who made sure I took care of myself and stayed on top of my studies. My roommate and I grew closer to each other, and now I can honestly say that she is one of the most important and positive influences in my life. And on top of all of that, I had started doing better on my exams and in all of my classes overall. Learning how to study was definitely a huge barrier, but once I got past that it was all uphill from there. I’ll admit things were pretty rough at the beginning of the year, but it’s never too late to turn things around. Everyone struggles. It just takes a little patience and a little time. People say it’s not about the destination, it’s about the journey, and I agree. However, there’s nothing wrong with trying to make the journey a little more enjoyable for yourself. The most important lesson I’ve learned is that no matter how many times life knocks you down, you have to get back up again. Now I’m on a journey to where I want to be, and I couldn’t be more excited to see where this next semester takes me. Whatever struggles lie ahead, I know I have an amazing support group who will help me persist. To prepare for a career in medicine, I have volunteered at Good Samaritan Hospital starting in high school and lasting until I moved to Columbus for college. My duties included giving directions to visiting family members to patient rooms and escorting patients to their cars once they were discharged from the hospital. I also have had exposure to the medical field via job shadowing three emergency trauma physicians in the emergency department of Miami Valley Hospital, a cardiologist in California, and a gastroenterologist in a private practice. While shadowing the gastroenterologist, I witnessed multiple colonoscopies and endoscopies. The cardiologist I shadowed taught me how to read electrocardiograms and echocardiograms. The emergency department doctors that I shadowed taught me how to come up with differential diagnoses, as well as which symptoms are the most important to pay attention to and what to look for when examining a patient. They also taught me how to read chest x-rays, allowed me to observe how to do stitches, and observe how to intubate a patient. While all of these technical skills are essential in a medical career, the most important lesson I learned from all of these physicians was how to be compassionate and caring towards patients and their families while they are going through difficult times and facing uncertain outcomes. Connecting with people and having the chance to develop relationships is one of the aspects of medicine that I find most important. All of the knowledge that I have acquired through the years by spending time in a healthcare setting has only strengthened my desire to continue to help people. Ultimately, getting more exposure to the field of medicine through this internship program opportunity and being able to increase my knowledge of physician and patient interactions would be an invaluable privilege. 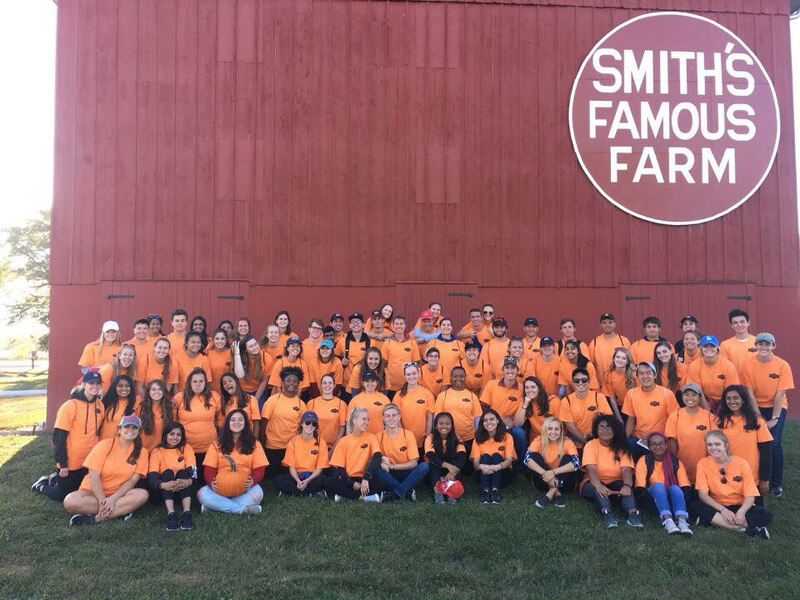 This past Saturday, September 30, a large group of Mount Scholars spent the day volunteering at the Fall Harvest Jamboree. The event offered many activities for kids and their families such as apple archery, corn mazes, a tractor ride, etc. I was lucky enough to help with parking and horseback riding. While I had never helped park cars for such a large event before, I quickly learned that organization and spatial awareness were necessary skills because there was no parking lot with defined lines. The cars had to park in a grass field. It took some time, but with the help of others, we were able to figure out how to efficiently park all the families who visited. Horseback riding was a different challenge altogether. I had never worked closely with children before so I had to adapt to figure out how to talk to them to make sure they understood me and make them feel comfortable. The parents were trusting me to make sure their kids were safe while on the horses, and I couldn’t let them down. Whether it was making sure each child put on a helmet that fit correctly or making sure everyone knew how to mount and dismount a horse, communication was key in effectively helping people. Overall, the Fall Harvest Jamboree served as a great place to spend time in nature and develop new skills I never knew I needed. It’s been one of my favorite service events so far and I hope I can help out again next year! 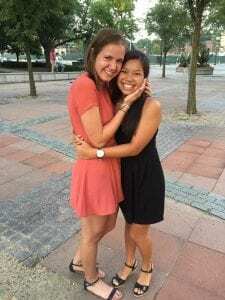 Lan-Anh Doan is a first year student at The Ohio State University from Centerville, Ohio. She is currently majoring in Health and Rehabilitation Sciences with a minor in Bioethics. In high school, she devoted her time to a variety of activities such as Health Occupation Students of America, Diversity Council, and the Varsity Golf team. 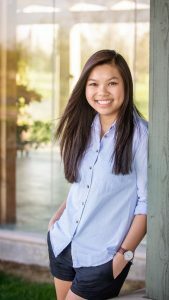 At OSU, she plans on continuing to stay involved around campus through organizations and clubs including the Mount Leadership Society Scholars program, Medlife, and the Vietnamese Student Association. She also hopes to participate in various volunteering and undergraduate research opportunities. In her free time, Lan-Anh enjoys playing golf, watching TED Talks, and exploring cities. After undergraduate school, she hopes to further her education at a medical school where she will expand her knowledge of cardiology.